This entry was posted in Bucks Weekend, From the Land of Ray and Reggie and tagged Dwyane Wade, James Jones, Miami Heat, Milwaukee Bucks, Ray Allen on December 29, 2012 by J.D. Mo. Coming off a big overtime win in Boston and facing the 5-23 Cavaliers at the Bradley Center BMO Harris BMO Harris Bradley Center, a 15-11 record heading into the three-day X-mas break looked pretty good for the Bucks. But not after the starters shot less than 38% and repeatedly dumped the Bucks into a 10-then-20 point hole that the bench couldn’t dig out of. If the opening tip five against Cleveland are to be coach Scott Skiles’ starters the rest of the way, get used to nights like Saturday. As a group they are one of the worst — if not the worst — shooting group currently starting in the NBA. Skiles’ current starting lineup — Brandon Jennings and Monte Ellis, with forwards Marquis Daniels and Luc Mbah a Moute, and center Larry Sanders — would be dead last in the NBA in shooting, were the 7 wins-20 losses Charlotte Bobcats not shooting worse. (See NBA season summary). The rest of the team is misfiring too, though not so much since Ersan Ilyasova has resurrected to find his jumper. They’re at 47.4% effectively, slightly better than the team % of the Memphis Grizzlies. Ilyasova’s percentage has climbed out of the 25% range and is heading toward 50%. The dud Saturday against Cleveland was actually accomplished with cold-shooting Monta Ellis on a good night, going 15 of 27 and shooting an effective 59.3% – only the second time this season Ellis has hit that mark. Ellis shoots more than anybody in the league with the exception of Kobe Bryant and Russell Westbrook, while posting career-lows in field goal and 3-point-%. Monta’s never been good from 3-point-land, but the 20.9% he’s shooting this season is horrific. And those latest stats include two good shooting games by Ellis against the Celtics and Cavs. There is no “shooting guard” in the NBA playing more than 30 mins per game who shoots worse than Monta (See HoopData sorted stats by position). Point guard shooting percentages being what they are (generally lower), only the Knicks J.R. Smith joins Ellis as a “shooting guard” in the bottom ten. And remember, Ellis is firing away at a rate topped only Kobe and Russell Westbrook. But this isn’t all about Monta Ellis or Jennings. Compounding matters is that Skiles starts Ellis with forwards Luc Mbah a Moute and Marquis Daniels, two defensive minded players not known for sticking shots. Moute and Daniels are both below 48% career eFG%, under the league average of 48.8% this year. Skiles has done this, he says, because he wants to start games with stronger D — defying the expectations of Bucks fans that Ilyasova and Moute would finally get a chance to start together and bring some chemistry to Skiles’ ever-changing rotations — and it’s not as though Ilyasova’s a slouch on defense. One could argue — I suppose — that with good-shooting Beno Udrih still out with a right ankle injury, Skiles is looking for some balance off the bench, where Mike Dunleavy could use Ersan’s scoring help. But if this is an attempt at balance by Skiles, it’s being lost brick by brick with a starting lineup that isn’t supposed to shoot well because they never have. The tip-off five needs a shooter, and Ilyasova’s shot is coming back around to where it was last season. So the obvious answer is to move Ilyasova back into the starting lineup and see if the Bucks can ween themselves off their dependency on Ellis, who shoots too much for the team’s good — but will keep on shooting unless there is a reliable alternative on the court. Right now, there’s just no such alternative in the Bucks starting 5, and the Bucks might as well make some effort to get a payoff out of the $7.9 million a year investment they made in Ersan. A Bucks-Celtics note: Skiles has played Ilyasova starters’ minutes (29.4 per game) in the four games against the Celtics, three of them victories. Good matchups for Ersan? Or a trend? We shall see. Thieves: Brandon Jennings trails only Chris Paul and Grizzlies point guard Mike Conley in steals per game. The Bucks continue to be a Top 5 team in forcing turnovers while being 6th in the league at not turning the ball over. They’re getting two more possessions per game than their opponents. Larry! Larry! : Larry Sanders is leading the NBA in blocked shots per game (3.1) and is No. 1 in defensive rating, a measure of points allowed per 100 possessions that a player is on the floor. Larry’s 93.4 points allowed per 100 is one point better than Tim Duncan’s and 1.3 better than Pacers center Roy Hibbert. Ray in Miami: There’s still mucho love for Ray Allen in Milwaukee, but they surely like him more in Miami these days. Ray’s staking his claim to “The Best Shooter in Basketball” crown, leading all guards and forwards in Effective Shooting percentage (eFG%). Ray’s a 61 percent shooter, behind only Knicks center Tyson Chandler. Ray’s the only non- center in the top 5. Lebron James, meanwhile, is a surprising 6th in the NBA with a 58.1% effective shooting, as the MVP is having a career shooting year inside and outside the 3-point arc. The extra room and better spacing James gets with Ray on the floor is certainly partly responsible for this — as are the added offensive smarts a team gets with Ray — but most of the credit goes to James himself. He’s playing more post-up than in the past, he’s hitting his threes and his shot selection is the best its ever been. James is also having a career rebounding year, grabbing 8.5 boards per game. This entry was posted in From the Land of Ray and Reggie, The Jinx and tagged Brandon Jennings, Ersan Ilyasova, Kobe Bryant, Larry Sanders, Lebron James, Luc Mbah a Moute, Marquis Daniels, Milwaukee Bucks, Monta Ellis, Ray Allen, Russell Westbrook, Scott Skiles on December 24, 2012 by J.D. Mo. It’s really true, and as a part-time Celtics fan I can’t help but be disappointed. Shaquille O’Neal, when healthy (which wasn’t often this season) made the Celtics better, more formidable in the paint. The Celtics were surprised by Shaq’s Twitter announcement and maybe we should be, too. More than anything, Shaq changed the C’s demeanor. No more were they the team of Kendrick Perkins‘ scowl and Kevin Garnett‘s gesticulations. They were big as a Diesel, no doubt about it, and the Diesel delivered on the court — leading the Celtics in defensive impact (a 2.84 ezPM score) while snatching 4.8 rebs per game and scoring 9.2 points per game in just 20 minutes. And he may return once the league’s labor dispute is settled, when the race for the 2012 playoffs is on — when we most need an old star to tweak Lebron James’ all-business, all-defense, “all-me”-this-ain’t-funny-even-if-we-win, facade. Shaq’s got some game in him left, and a little Brett Favre in him, too — evidenced by this Twitter announcement during the NBA Finals, moments that belong to Lebron and Dirk, and that’s not a criticism of Favre or Shaq. Jordan or Bird or Magic might have done something similar. Shaq’s NBA in the post-Jordan dark days was not as competitive as the current league, and the Lakers three-pete (2000-2002) was often controversial and marred by questionable refereeing — yet Shaq was the face that managed to win over new converts even as so many fouled on it all. No, Shaq’s era was not filled with the league’s finer moments, and if there were fine moments, those belonged to Jordan or Hakeem or Duncan and Robinson, even Sam Cassell (with the Rockets, Bucks and T-Wolves). Through it all, however, the largess of Shaq and his steadily improving post game remained the point of departure for many fans. Like it, be awed by it, shrug it off as freak of nature performance that made NBA hardwoods less than level, even the casual NBA fan had to consider all that was Shaq as he joked his way through press conferences. Shaq’s Lakers set the NBA mark for best record in the playoffs (15-1) but, due to one of the most crookedly refereed series’ in NBA history (Sixers-Bucks 2001), they never had to face in the Finals the team they couldn’t beat that season: The Sam Cassell, Glen “Big Dog” Robinson, Ray Allen “Big Three” Bucks coached by George Karl. The following season, the 2002 seven-game Western conference Final between the Lakers and the Sacramento Kings was nearly as crooked as the 2001 Bucks-Sixers series, only more of the public was watching. The smugness of Kobe Bryant and Lakers coach Phil Jackson emerged as sorry emblems for a league that seemed to have lost its way under the influence of its Emperor Palpatine-like commissioner, David Stern. They let the big fella down. So the big fella walked away. We the people liked him for it in the end, a difficult and unlikely achievement considering the general bad mood of the casual NBA fan. For Bucks fans, Shaq and his Lakers will primarily be a “what if” — an opportunity and great NBA Finals series denied in 2001. But there is another connection (which was the original intent of this post about a thousand words ago) that involves one of Shaq’s favorite teammates and longtime friend, Bucks coach Scott Skiles; and Skiles’ longtime friend, former Orlando Magic teammate and former Bucks head coach Larry Krystkowiak. The stage: Magic practice floor on the road in Los Angeles. 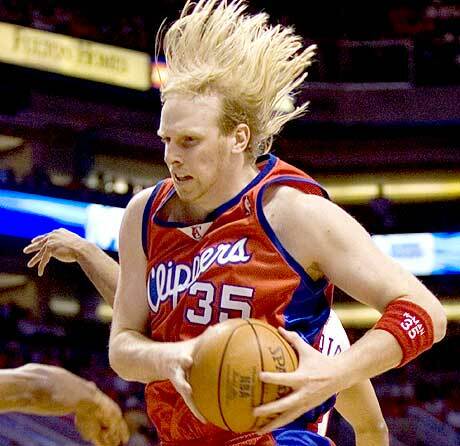 Our narrator: Larry Krystkowiak, Magic reserve power forward. The combatants: A young Shaquille O’Neal, Magic center; Krsytkowiak; Scott Skiles, Magic point guard. The action: “Haymakers” thrown, Skiles “sorta” in a headlock, wrapped around Shaq, mayhem. The instigator: Scott Skiles, of course. The result: One of the wildest NBA practice fights on record, and mutual admiration society between Skiles and Shaq. Continued friendship between Skiles and Krystkowiak. Shaq and Krystkowiak? No hard feelings, respect. The Magic went on to win 50 games that season, Shaq’s second in the NBA. Krystkowiak tells it far better than anybody. Here’s the LINK to Krystkowiak’s account, by ESPN writer Chris Sheridan. Imagine Krystkowiak’s surprise when, in the 2007-08 season, Bucks power forward Charlie Villanueva backed down from a fight challenge — from Krystkowiak — during a Bucks practice. The NBA had changed. Yet it’s a better game today because players like Shaq and Skiles and Krystkowiak simply never bothered to. This entry was posted in Essential Reading, From the Land of Ray and Reggie, Jinxes & NBA Mojo, The Jinx and tagged Boston Celitics, Chris Sheridan, David Stern, Dwyane Wade, ESPN, Kobe Bryant, Larry Krystkowiak, Lebron James, Los Angeles Lakers, Miami Heat, Orlando Magic, Phil Jackson, Scott Skiles, Shaquille O'Neal on June 2, 2011 by J.D. Mo. … and went sailing past Bosh as Bosh drove to the hoop for an easy layup. “There wasn’t anything Boozer (Carlos, the nearest available help defender) could do about that,” Marv Albert noted in his play-by-play. And there wasn’t. Three Heat possession later and Bosh had another bucket on a midrange jumper and Noah had committed a foul, and the Heat had cut the lead to five. Coming into the game, Bosh was averaging 24.5 points per game in the series, including a 30 point Game 1 and a 34 point Game 3. No, despite Noah’s hyper-activity and the lunging-for-the-ball tip and block efforts, the Bulls center had blocked just six shots through four games (his season average) and had a miserable time guarding Bosh, who found Noah an all-too-willing sucker for the pump fake, and all-too eager to leave him to help out on the driving Heat, even when help wasn’t needed. It wasn’t anything resembling the play of a 2nd-team All-Defensive forward-center, the honor bestowed upon Noah by the NBA coaches in 2011. To compound matters, Noah had shot 29 percent from the field entering Game 4. Yet few — if any — Heat-Bulls observers (Noah’s biggest fan, Charles Barkley, included) seem to have noticed. “On the court and off, Noah not your typical NBA player,” gushed the Chicago Tribune headline above a long feature on Noah before Game 5. Yeah, the Tribune story set out to tell the human interest story behind a basketball player fined for a vulgar, homophobic slur toward a fan in Miami. But this story aims to talk about Noah the basketball player, the guy who is not making plays on the court, not with the regularity that his fans seem to think he is. What gives? Were these games against the Heat an aberration, a tough matchup (Bosh, Wade and Lebron) that belied Noah’s All-Defensive status? Hardly. Noah’s defense in the Heat series was exemplary of how the Bulls center plays defense, and has played it that way since he entered the league in 2007, the season Scott Skiles was let go by the Bulls. Noah rushes to help, lunges after shot attempts, goes for ball fakes, and, as a result of this activity, tends to leave his man wide open or in weak side rebound position. Generally, he tries to be everywhere at once on the defensive end. While his style surely reflects Noah’s confidence in his athleticism and relative inexperience, it’s also impossible, often foolish, and is a dangerous way to play Chris Bosh — hey ! It’s not good defense. We actually have statistical evidence of Noah’s folly. Using a newly developed measure of defensive play, ezPM, when counterpart scoring is taken into account (that seems obvious) Noah’s marginal score for individual defense takes one of the biggest dives in the league. EZPM is a rather basic yet complex and comprehensive metric extended from box score stats developed by Warriors-centric blogger EvanZ at “The City.” For a full explanation on the “ezPM” metric, CLICK HERE. For the opponent scoring (Defense) calculations and rankings, CLICK HERE. For the record, the ezPM results verify what the eye is telling the NBA fan: Noah is often playing active but poor defense, and the man he’s guarding reaps the benefits. Despite making about 3.0 defensive plays per game (1.5 blocks, 1.0 steals and taking charges) and playing on the NBA’s top-rated defense, Noah finished well behind the top rated big men in the league (see below), and out of the top 25. The Bulls may have clamped down on opponents as they so often did this season, but their center was too often losing track of his man. In 2010-11, Joakim Noah was not 2nd-team All-NBA Defensive material. In the end, his poor defense on Bosh — and the absence of any offensive game to speak of — may have cost his team a trip to the NBA Finals. As the Bulls-Heat series played to its conclusion in the 4th quarter of Game 5, backup center Kurt Thomas was the big man on the floor for the Bulls, helping to build a 12-point lead that Dwyane Wade and Lebron James extinguished down the stretch. Noah remained on the bench the entire 4th quarter. 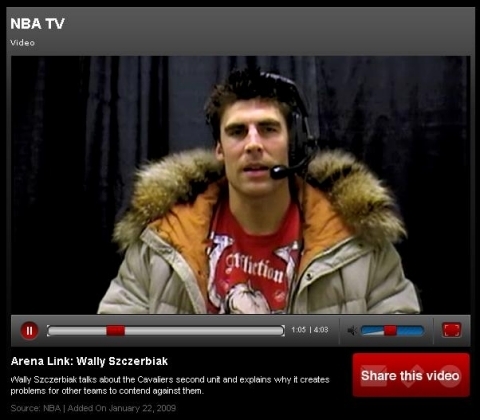 I wonder if anybody in Chicago (or Charles Barkley) noticed. This entry was posted in From the Land of Ray and Reggie, NBA Playoffs, The Jinx and tagged 2011 NBA All-Defensive, 2011 NBA Playoffs, Andrew Bogut, Chris Bosh, Dwight Howard, Joakim Noah, Lebron James, Ronnie Brewer, Tim Duncan on May 27, 2011 by J.D. Mo. The NBA schedule giveth: Saturday, the Philadelphia 76ers dragged into town after their biggest win of the season, a down-to-the wire victory of the Celtics that broke the Sixers six game home losing streak to the C’s. The Bucks thumped Philly at the Bradley Center 102-74, Andrew Bogut leading the way with 17 pts, 9 rebs. Three game winning streak for the Bucks. The NBA schedule taketh away: After drubbing the weary Sixers, the Bucks boarded a plane for Boston and turned their watches ahead not one but two hours for daylight savings, arrived at about 3:30 AM eastern time (according to Bucks twitter messages) with their game against the Celtics set for 6 pm the next evening. In the first quarter they tied the Miami Heat for least points in an NBA quarter this season (nine – also against the stifling Celtics D). The Bucks almost set a record for scoring futility in an NBA half until a couple of buckets by Bogut got them to 22. The 56 the Bucks scored for the game was a franchise low, underwhelming the 58 they scored the day they traded Ray Allen to Seattle in 2003. Clunk. Back to bed Bucks. Then on to Atlanta for their 4th and final game this season against the Hawks who … well, you never know what you’re going to get with the schizophrenic Hawks, but it will be the first time the Bucks play them with Kirk Hinrich at point guard. And now, without further ado, and in honor of the Bucks new franchise record scoring low, let’s play H-O-R-S-E in the late 1970’s. The combatants: Bucks 1978 All-Star shooting guard Brian Winters and Milwaukee Lincoln High alumnus “Downtown” Freddie Brown of the Seattle SuperSonics, who, like Winters, built his NBA rep gunning from, where else? Downtown. Before the league drew the lines that defined where that neighborhood began. Dam, did Brian just lose HORSE to nothing? This is what happens when celebrating new low records for scoring futility. 49 -- Chicago vs. Miami, April 10, 1999. 53 -- Denver at Detroit, Nov. 16, 2002. 54 -- x-Utah at Chicago, June 7, 1998. 55 -- Indiana vs. San Antonio, March 29, 1998. 56 -- Toronto at Minnesota, Nov. 1, 2003. 56 -- Miami vs. Utah, Dec. 18, 2001. 56 -- Miami at Charlotte, Dec. 20, 2000. 56 -- Utah at Seattle, Feb. 16, 1999. 57 -- Orlando vs. Cleveland, Dec. 4, 1996. 57 -- Philadelphia vs. Miami, Feb. 21, 1996. 57 -- Milwaukee vs. Boston, Providence, R.I., Feb. 27, 1955. 59 -- Portland at Indiana, Feb. 27, 1998. 59 -- Cleveland at San Antonio, March 25, 1997. 59 -- Sacramento at Charlotte, Jan. 10, 1991. 61 -- Indiana at Cleveland, March 22, 1994. 61 -- New York at Detroit, April 12, 1992. 61 -- New York at Detroit, Jan. 29,2005. This entry was posted in Bucks History, From the Land of Ray and Reggie, The Jinx and tagged Boston Celtics, Brian Winters, Downtown Freddie Brown, Milwaukee Bucks, Philadelphia 76ers, Seattle Supersonics on March 14, 2011 by J.D. Mo. Today at the Knicks afternoon shootaround in Cleveland, Amar’e Stoudemire took aim at Bucks coach Scott Skiles when asked about his 15th technical foul of the season, which Stoudemire received Wednesday in the final minute of the Bucks-Knicks game. Stoudemire was tee’d up when he tossed his goggles after being whistled for his sixth foul. “Scott Skiles probably doing what he does best: being out of control and having them make the call,” Stoudemire said. — NY Post Knicks blog. They just missed each other in Phoenix, where Skiles was coach until midseason 2002, just months before the Suns drafted Amar’e. 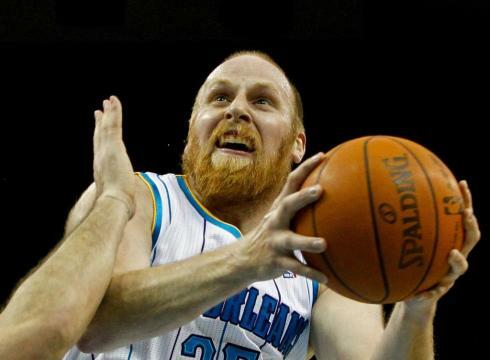 Given the defensive demands of playing for Skiles, Stoudemire, indeed, would have hated it. Earlier this season after a blowout loss to the Bucks, Stoudemire questioned whether Skiles told the Bucks to retaliate against him for that little shove in Andrew Bogut’s back last March, which instigated AB’s season-ending fall and arm injury. He actually accused Skiles of instructing the Bucks to “play physical” against him. Really. Denver coach George Karl lit into Carmelo Anthony after the Nuggets game last night against the Celtics. I guess George didn’t like the fact that Carmelo’s not such a dedicated defensive player. Seems like old times for George, though he’s certainly mellowed with age. After the Bucks traded Ray Allen (err, after the Bucks traded Ray Allen, finished the season out with Gary Payton and let George go), George expounded to the press on Ray’s “disrespect” for the game of basketball. “Oh, that’s just George being George,” explained Sam “I Am” Cassell at the time. 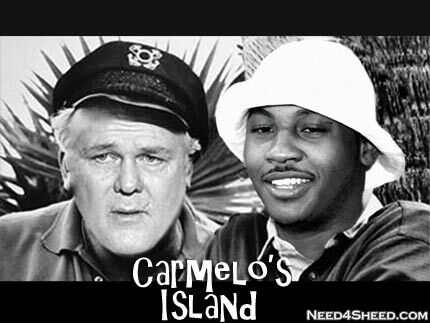 “WHEN THE GRASS IS CUT THE SNAKES WILL SHOW,” tweeted Carmelo. This entry was posted in From the Land of Ray and Reggie and tagged Amar'e, Amare Stoudemire, Carmelo Anthony, Gary Payton, George Karl, New York Knicks, Ray Allen, Sam Cassell, Scott Skiles on February 25, 2011 by J.D. Mo.